Pathankot District and Sessions Judge Dr Tejwinder Singh, who is overseeing the trial of the seven accused in the Kathua gangrape and murder case of an eight-year-old girl, today declined to grant permission to the two accused who had sought permission to vote. Main accused Sanjhi Ram and head constable Tilak Raj had pleaded before the court to allow them to exercise their franchise on April 18, when polling is held in J&K. The two belong to Udhampur district. 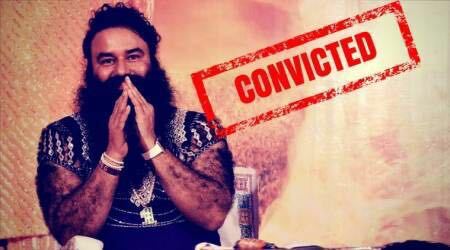 The accused had moved an application on Wednesday seeking permission, following which the Judge had asked the Gurdaspur Central Jail superintendent to file his reply. The jail superintendent, in his reply filed on Thursday, had referred to the provisions under Section 62 (5) of the Representation of People’s Act which denies the right to vote to undertrials, who are in prison or in police custody. Vinod Mahajan, one of the defence counsels appearing for the accused, said he had raised the issue that if a person lodged in jail can contest an election, why cannot he be allowed his right to vote.